At D. Bloomberg Construction we focus on meeting our customer needs. Whether it’s building a new house, restoring an old home, or just making a few updates to your existing home, you will find our team passionate and enthusiastic about the goals you set for us. We firmly believe that quality and customer service is valued above all else. Please browse our web site to see all we have to offer. At D. Bloomberg Design & Construction can offer you a true “one stop” experience in your construction needs. Utilize our in-house architecture team, whether you’re building a new home, or simply adding a rear deck. Let us take the burden of securing the correct permits to meet your needs. 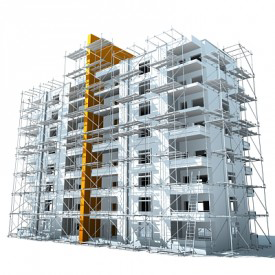 We can cut the red tape out of the building process, providing you with a shorter time frame for your project. Bloomberg Construction is a licensed, bonded, and insured general contractor that can offer you’re the security you need in a reliable contractor, and a very competitive price.